Contrary to common belief and contradictory to the title of this blog post, rubs are not “All American”. In fact, you can buy a traditional French “Steak au Poivre” in many supermarkets which is simply an eye fillet with cracked black pepper coating the sides. 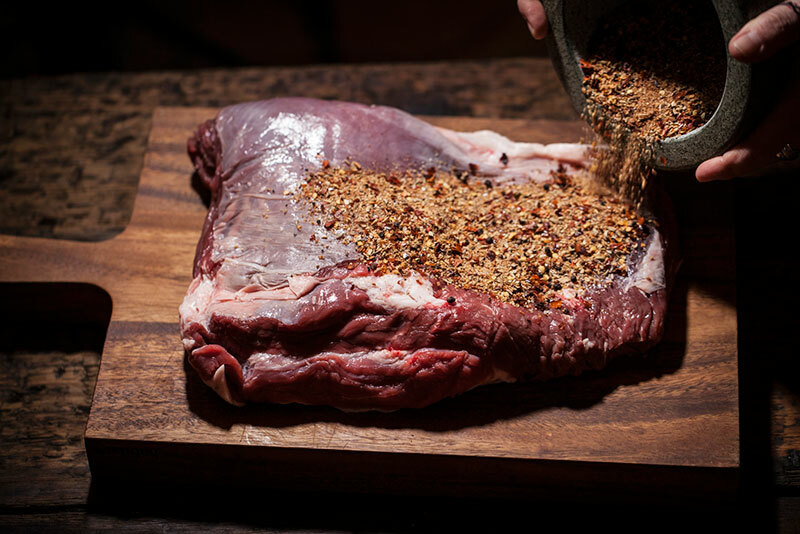 That’s probably the simplest rub there is, cracked black pepper; however, that being said, in Spain they often rub meat with a very simple mixture of finely chopped parsley and garlic which is also quite basic. An important thing to bear in mind however, is that even if a rub is simple and basic, it doesn’t mean it isn’t flavourful! 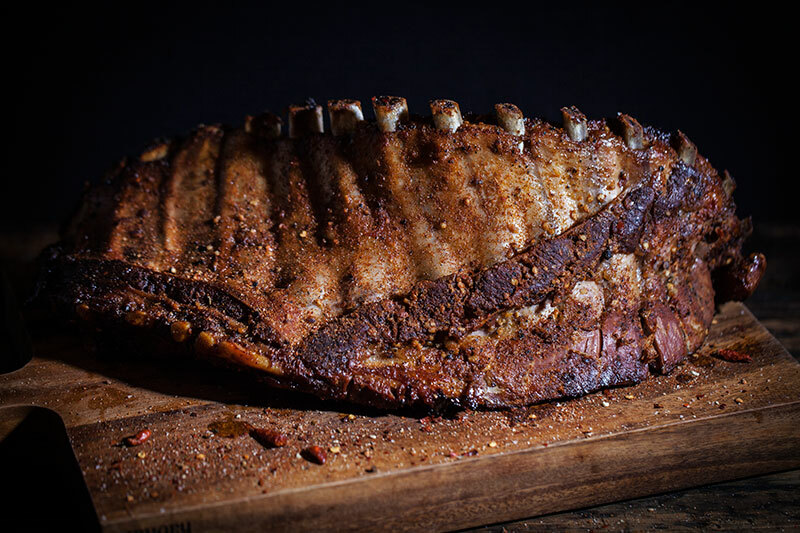 Here’s the selection of American style rubs that I’ll share with you here! 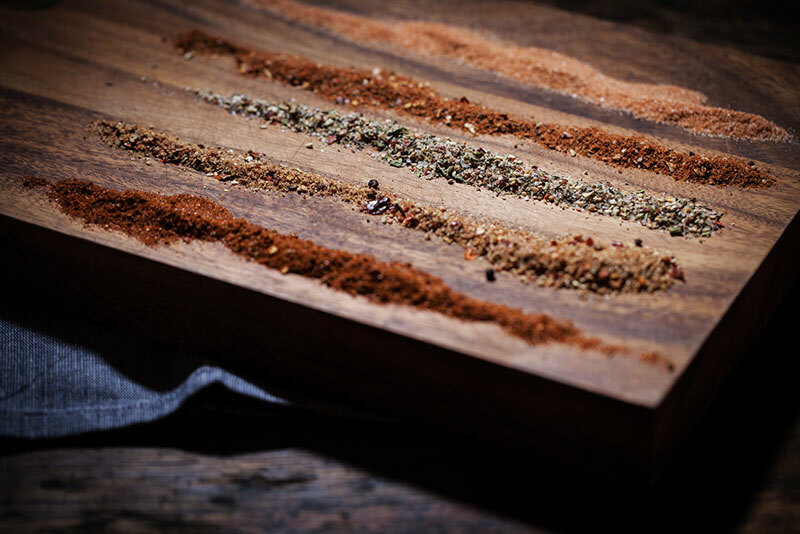 From bottom to top: Carolina Pulled-Pork Rub, Smokey Onion Rub, Herbed Chicken Rub, Kansas City Rib Rub and finally Seasoned Salt (not a rub but a must have in every kitchen!). Rubs are found around the globe and in virtually every culture. 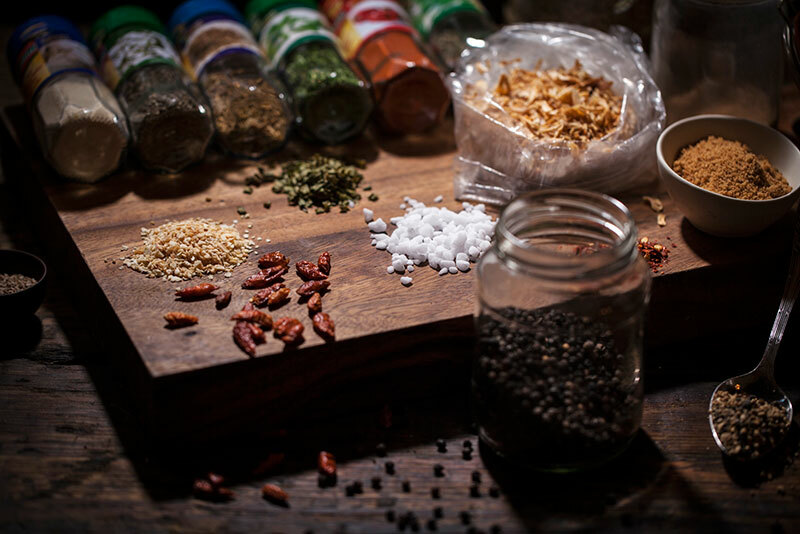 From pure cracked black pepper, to complex mixtures of vegetables, herbs and spices, rubs can either be a mix of fresh, dried or a combination of both. 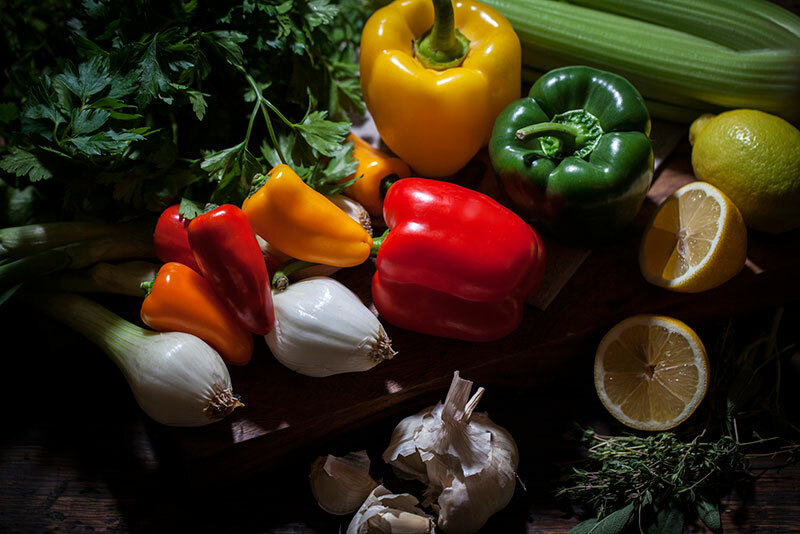 You can find just about every vegetable, herb and spice you could possible ever want for creating your own rub mixes at your local supermarket, specialty shop, health food store or exotic grocer. 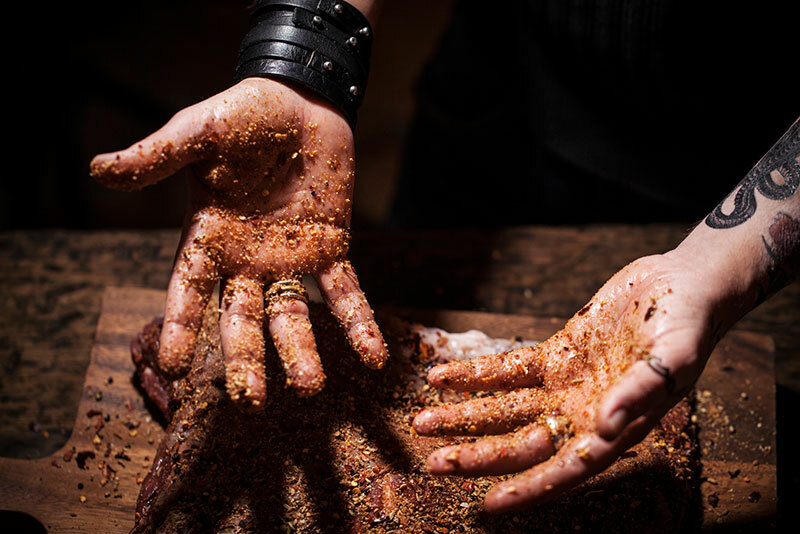 Dry rubs can be turned into wet rubs with the addition of oil, juice, water, honey, beer, whiskey, wine (the possibilities are endless!) which coats the meat and allows the meat to draw moisture from the rub while charring nicely on the outside. 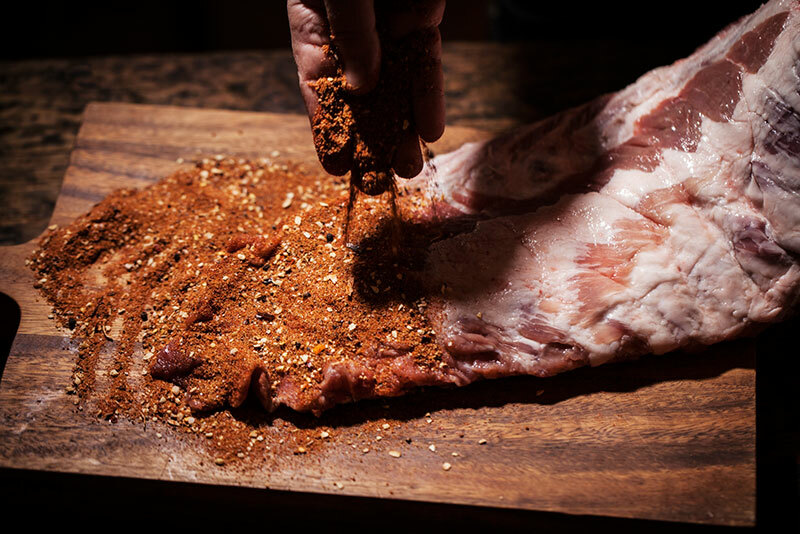 Click here to read our blog about when to use a dry rub, a wet rub and a marinade. releases the natural oils in the spice and amplifies the natural aromas. The second reason, is that I believe a good rub should have actual pieces of spice in it, not just powder. 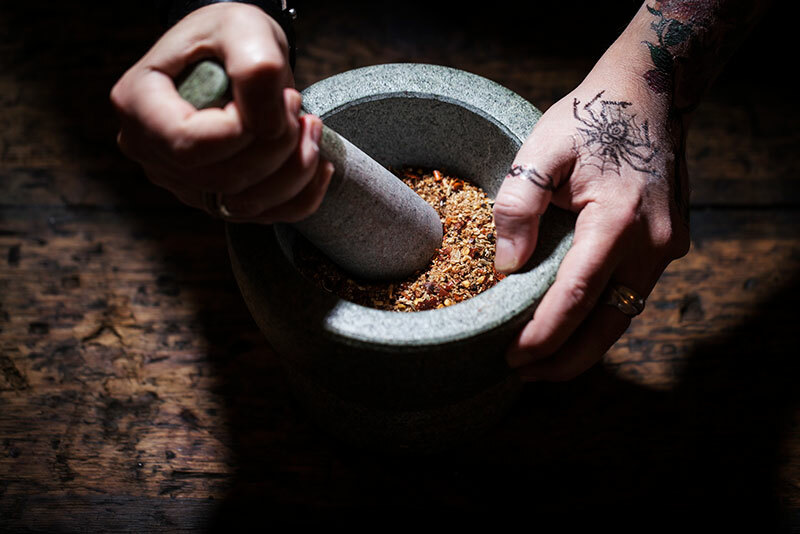 Use a mortar and pestle to break down the spices and release their bouquet until you have a chunky mixture made up of half pieces and half powder. 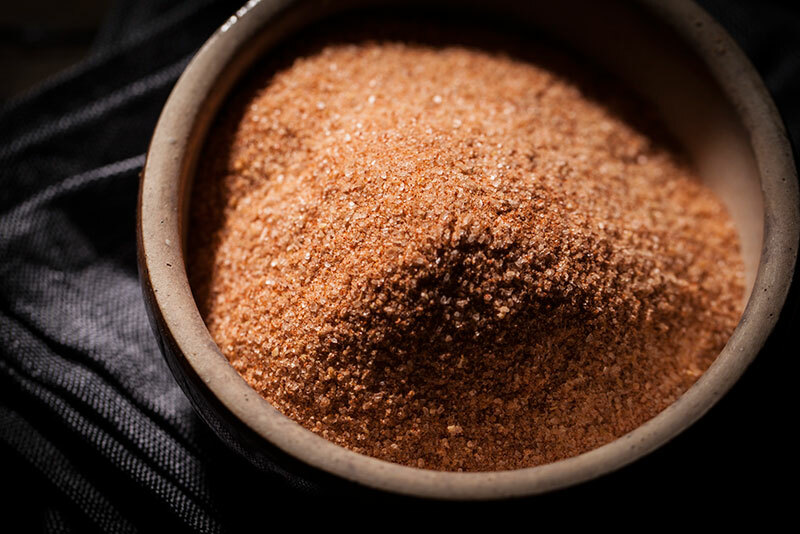 It’s good to note that the addition of salt to a rub is important and acts as a flavour enhancer. The addition of sugar however, is used less as a flavouring agent (depending of the quantity, of course) but rather as a caramelising agent that will help bond the spice mixture to the meat. 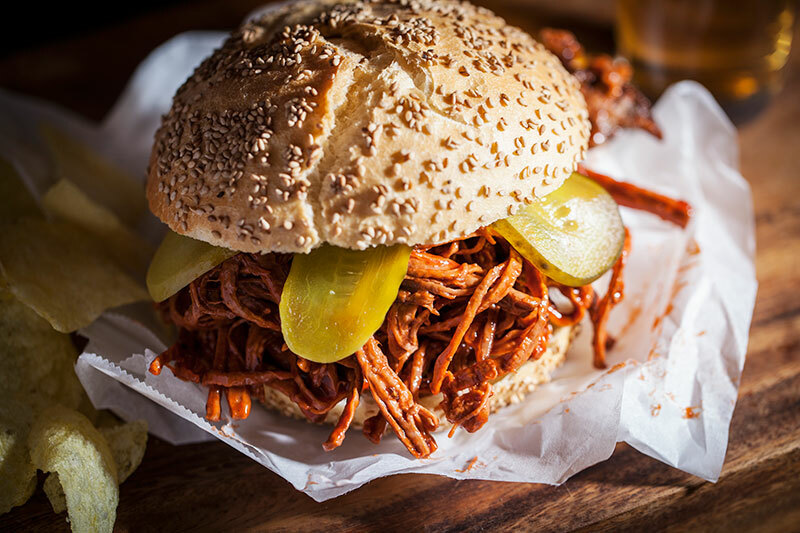 In American barbecue culture, which differs greatly from our Aussie barbie culture, rubs, be they simple or complex mixtures are a staple used by all American barbecue chefs. Bear in mind however, that rubs are not used on everything that goes on the BBQ. In fact, you could easily ruin good cuts of meat or high quality steaks by masking their rich meaty flavour with a cloud of spice. 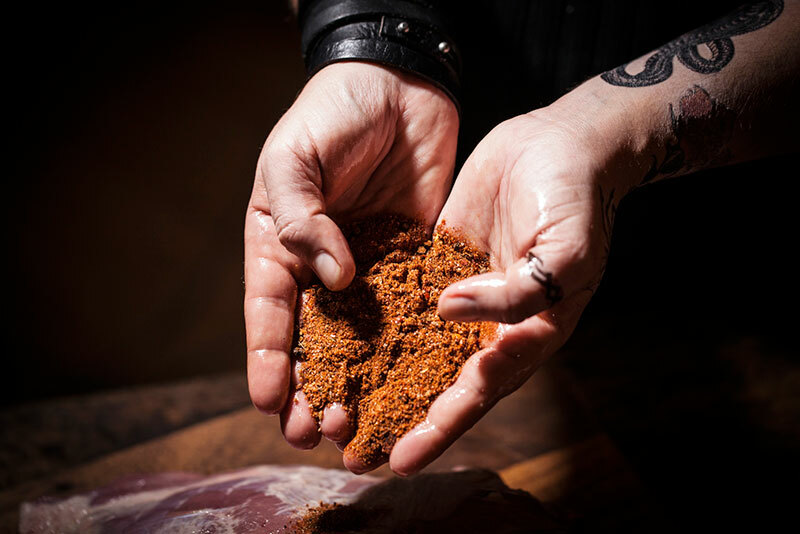 Instead, dry rubs are best used on meat, poultry and fish that have less flavour, that need that extra bit of oomph to be more appealing and that are going to cook quickly on the grill. 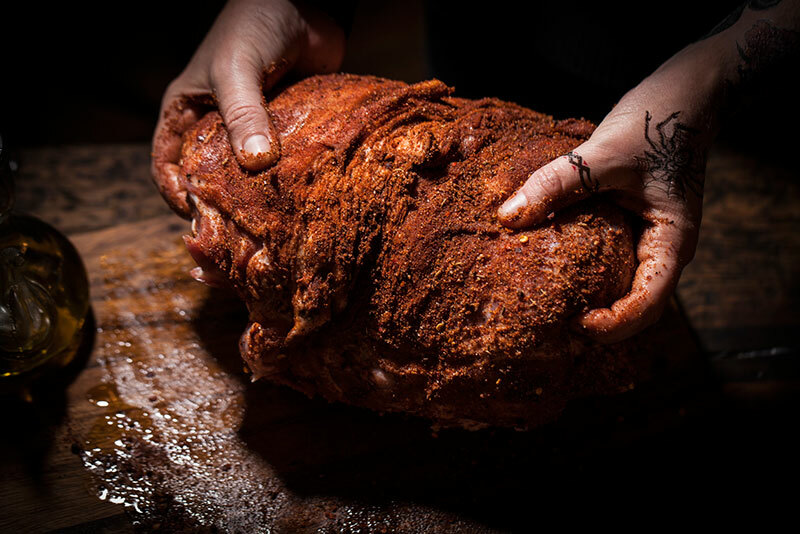 Contrary to that however, they are also indispensable when cooking using the “low and slow” method on larger cuts of meat such as brisket and pork shoulder or when smoking meats, poultry and fish (if not brining them prior). 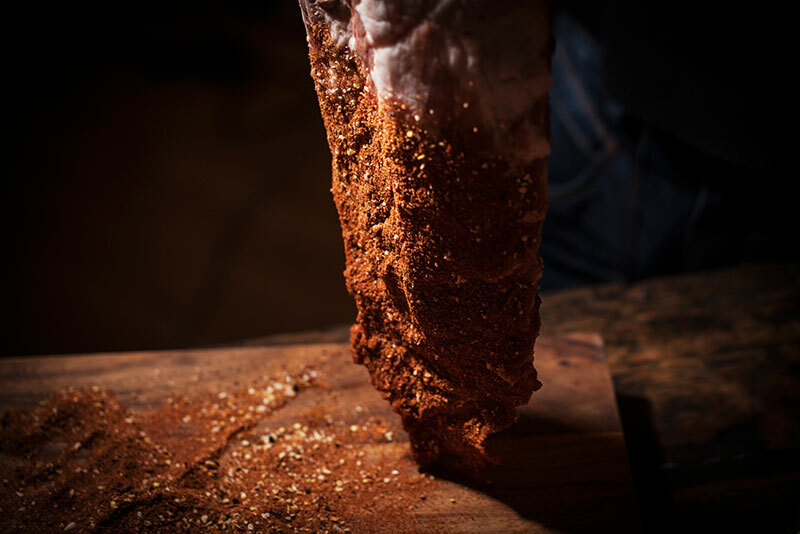 Make sure that you have a good rub to meat ratio. 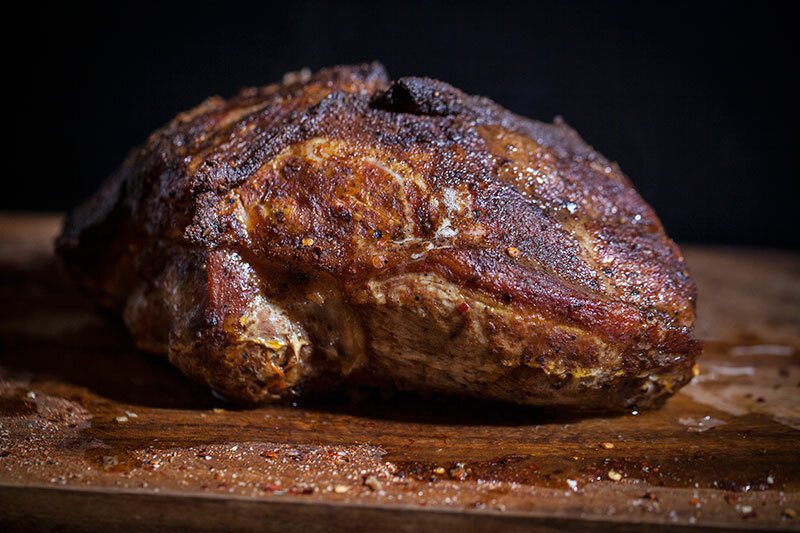 For every kilo of meat, calculate about 3/4 – 1 cup of rub. You want to ensure that the meat is coated fully and evenly! Get dirty! It’s a rub so you really want to get in there and massage the meat fully. This is what you want to see, a fully cloaked piece of meat under a veil of flavourful seasonings, ready for the grill. 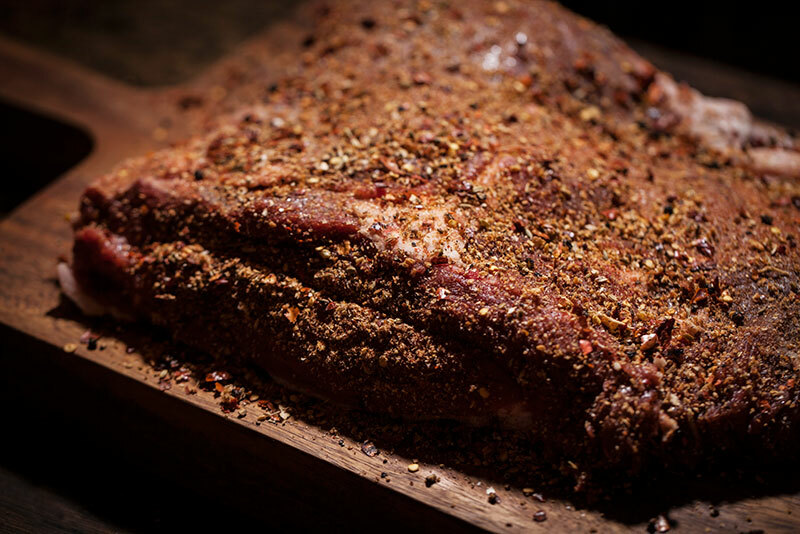 Click on the image to view our Smokey Onion rub which is absolutely perfect for a brisket. 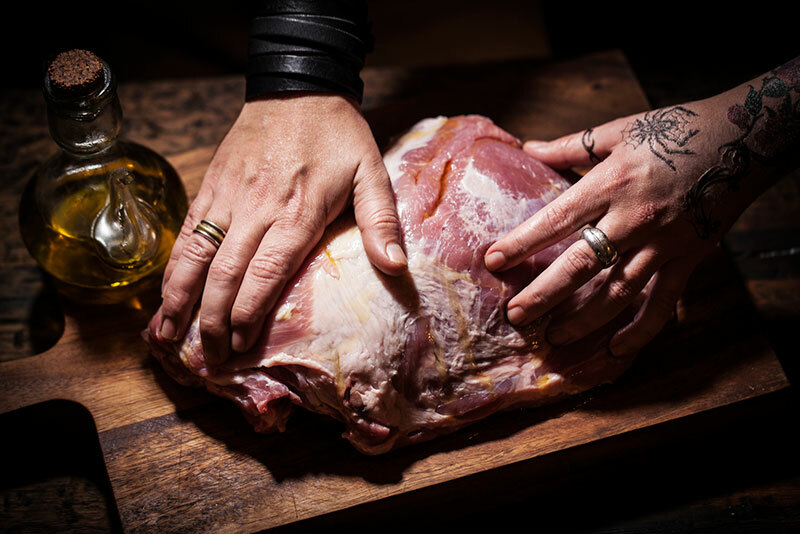 If the surface of the meat you are going to rub is a bit dry and you find that not enough of the rub is clinging to it, simply massage it with some extra virgin olive oil. Voilà! Problem solved! Perfectly rubbed pork shoulder for pulled-pork, ready for a “low and slow” cook. Do you want really good sticky ribs? Make sure your rub has lots of sugar in it then! If you have an upright smoker like the Pro Q, the Bradley or the Hark, try hanging your ribs while you smoke them. Click on the image to view our range of smokers on the site! 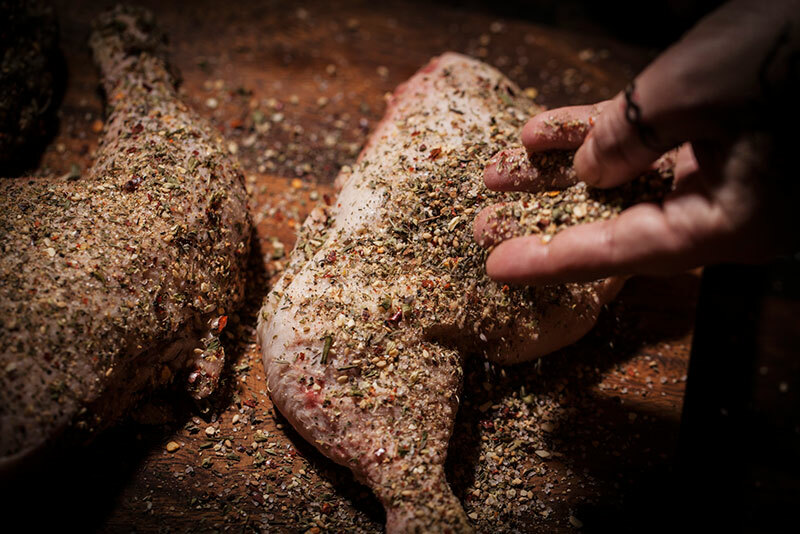 Chicken legs are best when covered in a rub that will char and flavour both the skin and the meat. And believe it or not, the best pulled brisket sandwich ever!!!! Remember the seasoned salt I mentioned that no kitchen should be without? Click on the image to view the recipe! It’s fantastic for seasoning everything. Try it on fries as well!